Please view a list of our presentations and publications below. For more information on any of these works, please contact us. Ziehe, P., & Sheade, H. (2018, October). The power of effective communication: Promoting quality improvement in EAAT. Professional Association of Therapeutic Horsemanship International, Orlando, FL. Counseling Association Professional Growth Conference, Galveston, TX. counseling. Texas Counseling Association Professional Growth Conference, Galveston, TX. Association Professional Growth Conference, Galveston, TX. Therapeutic Horsemanship International Conference and Annual Meeting, San Antonio, TX. Horsemanship International Conference and Annual Meeting, San Antonio, TX. services. Professional Association of Therapeutic Horsemanship International Conference and Annual Meeting, San Antonio, TX. Health Community Connection of Johnson County, Cleburne, TX. Sheade, H. (Invited presentation). (2017, September). Equine assisted counseling for military. VETCO meeting, Fort Worth, TX. ​ study. Professional Association of Therapeutic Horsemanship International Conference and Annual Meeting, Williamsburg, VA.
Sheade, H. ​(Invited presentation) (2016, October). Equine assisted counseling for military clients. Cleburne VFW, Cleburne, TX. ​ and teens. Millwood Hospital, Arlington, TX. Sheade, H. (Invited presentation). (2016, April). 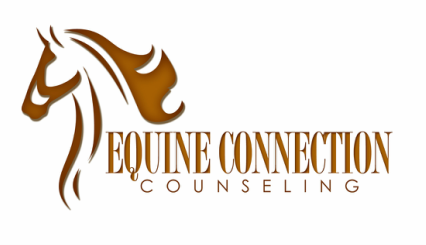 Equine assisted counseling for sexual abuse survivors. Annual TCSAAC Conference, Fort Worth, TX. ​ Advisory Council, Fort Worth, TX. Horsemanship International Conference and Annual Meeting, Cleveland, OH. Sheade, H., & Yterdal, H. (Invited presentation). (2015, August). Equine assisted counseling for trauma. ​Millwood Hospital, Arlington, TX. Sheade, H., & Yterdal, H. (2014, October). Psychotherapy 101: Equine-facilitated psychotherapy ethics and skills for equine specialists. Professional Association of Therapeutic Horsemanship International Conference and Annual Meeting, San Diego, CA. Horsemanship International Conference and Annual Meeting, Orlando, FL. Association of Therapeutic Horsemanship International Conference and Annual Meeting, Orlando, FL. Chandler, C., & Sheade, H. (2013, October). Teaching graduate courses in counseling techniques with the assistance of canines and equines. Association for Counselor Education and Supervision Conference, Denver, CO.
Counseling Association Annual Conference, Galveston, TX. Education and Supervision Annual Conference, Austin, TX. Chapter of the Texas Association for Play Therapy, Coppell, TX. Education and Supervision Conference, Nashville, TN. Sheade, H. Equine-partnered play therapy with children with oppositional behavior. (Chapter manuscript in preparation for Trotter and Baggerly's upcoming book, Equine Assisted Therapy Activities for Counselors: Harnessing Solutions to Common Problems). Sheade, H. Equine-assisted counseling and psychotherapy: Healing through horses. (Book manuscript in preparation for Routledge). Sheade, H., & Box, L. (2017, Spring). EFP Ethics and Skills for ESMHLs. PATH Intl. Strides., 23(2), 22-28.
single case design. (Doctoral dissertation). Retrieved from ProQuest Dissertations and Theses. (ProQuest Number 10034403). Sheade, H., & Box, L. (2014, Summer). Playtime with horses: Equine-partnered play therapy. PATH Intl. Strides, 20(3), 18-21. Sheade, H., & Chandler, C. K. (2014). Diversity considerations in animal assisted counseling. VISTAS Online. ​Read this article here!